Want to improve your softball skills? Here is a great opportunity! 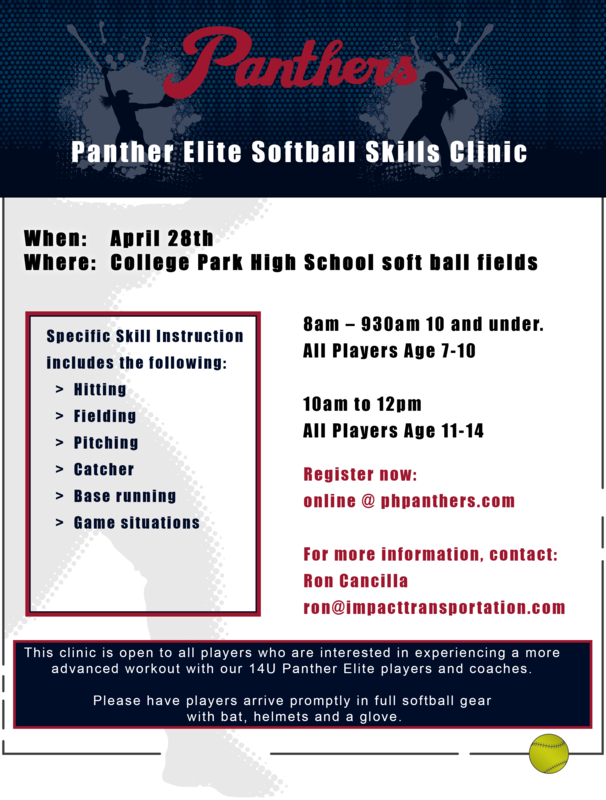 The Panther Elite coaches and players are offering a softball skills clinic on April 28 at College Park. All players looking to improve and experience a more advanced workout with the 14U Panther Elite Players and Coaches. Don't miss it!